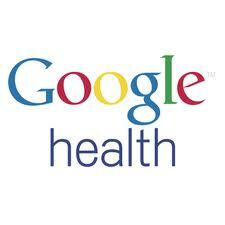 Yesterday, Google announced its new surveillance system for Dengue Fever. Dengue Fever is a disease caused by four related viruses spread by a particular species of mosquito. It can cause high fever, rash, muscle and joint pain, and in severe cases- bleeding, a sudden drop in blood pressure (shock) and death. Millions of cases of Dengue infection occur worldwide each year. Most often, dengue fever occurs in urban areas of tropical and subtropical regions. The system is similar to that which was previously released as their Google Flu Trends program. These systems use search queries within Google (for example those that enter the disease's name and/or symptoms) to identify trends. The Dengue system also takes advantage of a new feature called Google Correlate, which shows previously unknown correlations between search terms. These correlations allow researchers to model real world behaviors by examining internet search trends. For those who may be skeptical of this model, you should check out a publication (co-authored by Google and the Centers for Disease Control and Prevention-CDC) in the 2009 Nature Journal . The article reports that "because relative frequencies of certain queries were highly correlated with the percentage of physician visits in which a patient presents with influenza-like symptoms, we can accurately estimate the current level of weekly influenza activity in each region of the United States, with a reporting lag of about one day." This is a pretty exciting addition to public health surveillance (where the goal is systematic, ongoing, data collection that is used to monitor trends, identify priorities, direct resources, identify emerging hazards, and evaluate interventions). This is not the first time that Google has jumped into the public health field with an impressive contribution. In 2010, Google searches related to suicide started appearing with a message guiding users to the toll-free number for the National Suicide Prevention Lifeline. The number is 1-800-273-8255. Triggered by searches such as "I want to die" or "ways to commit suicide," the number is listed next to an icon of a red telephone, at the top of the search results. The addition of the Lifeline number came shortly after (at the suggestion of a Google user), the company started displaying the hotline for the American Association of Poison Control Centers after searches for "poison emergency." Identifying the primary channels through which your audience searches for health information (more and more are utilizing the internet) and delivering accurate and effective information and/or interventions via those channels. Maximizing data driven surveillance systems- using existing data (e.g., internet searches) to identify public health trends. Building strong partnerships (as evidenced by the publication by Google and CDC) CDC has partnered with a company with specific expertise and resources in an area that can be invaluable to their work.